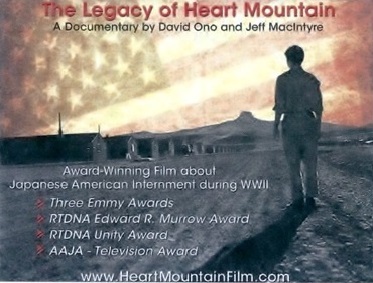 Program includes the award winning documentary “Legacy of Heart Mountain” and personal reflections of Amy and Lilly Kato. Sunday, Sept 20th, 12:30-2:00pm, at the White River Buddhist Temple, 3625 Auburn Way N., Auburn, WA 98002. The next meeting of the Buddhist Study Group will take place on March 12. The book for this month is Ken Tanaka’s “Buddhism on Air, which is described this way in the Buddhist Churches of America (BCA) bookstore blurb. This latest publication from Dr. Tanaka offers a unique collection of talks and interviews with noted Buddhist teachers and scholars, originally designed for TV presentation. A variety of topics are discussed related to Buddhism today, including its teachings, practices, and culture, as well as art, songs and humor. Please contact Rinban Castro if you are interested in purchasing a copy. The cost is $13.50. Also available from BCA bookstore. See link above. The meeting will take place in the Memorial Hall from 9:30-11:30am. There will be a brown bag lunch afterwards. There is no cost to attend. Starting Sunday, May 31, the weekly meditation session is moving from an 8:45 a.m. start time to a 10:55 a.m. start time. Immediately following the regular 10 a.m. Sunday English-language service, anyone interested in meditation will meet in the room to the left of the foyer — as you enter the temple — and we will walk together to 1441 S. Main street (the second house east of the temple.) Meditation will end at 11:30. Links to video taken at the NW District Buddhist Convention on February 14th, 2015. A collection of convention videos courtesy of White River Buddhist Temple.